Good Tides in Beadnell, Northumberland sleeps 6 people. Good Tides in Beadnell is a wonderfully presented, self-catering, end-terrace property, located in the popular coastal village of Beadnell. Tucked at the end of a modern cul-de-sac makes this lovely abode perfect for children, and is only yards from the glorious golden sands of Beadnell Bay. Good Tides is an extremely attractive property with additional windows enhancing its bright and airy ambience. 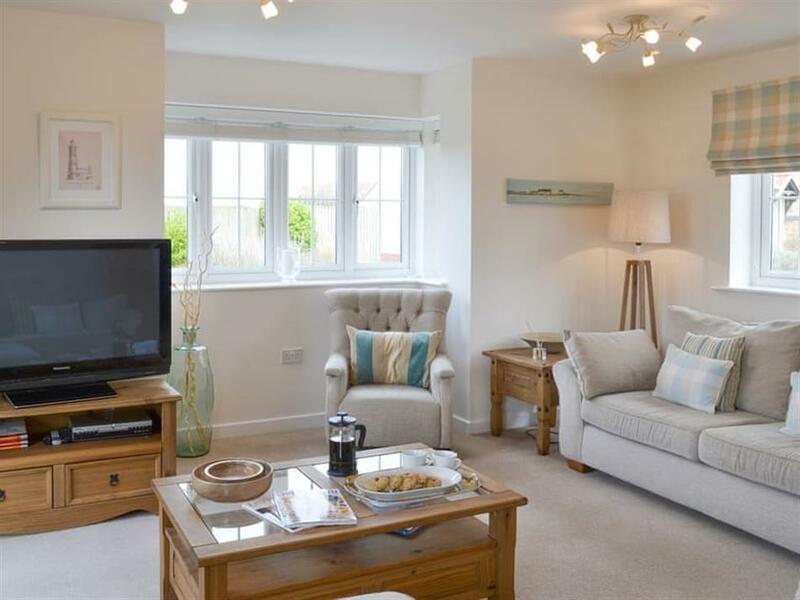 The living room is beautifully presented with patio doors leading to the fully enclosed rear garden. The kitchen/dining room is also on the ground floor and also gives access to the rear garden. 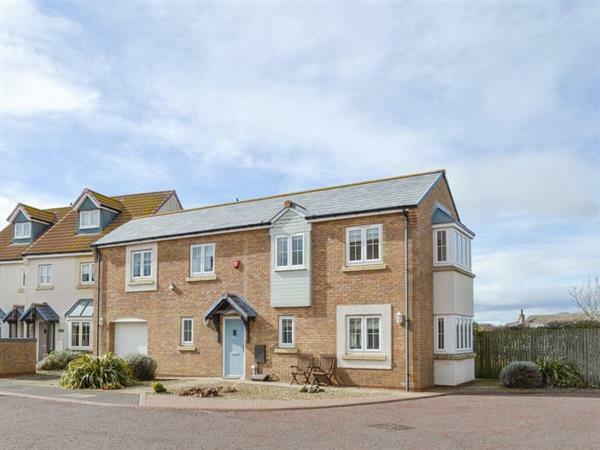 All three double bedrooms are positioned on the first floor, and the master bedroom has the added convenience of en-suite facilities with a view of the sea on the horizon. The stunning, golden sandy beach of Beadnell Bay attracts many water sports enthusiasts as it offers sea kayaking, kite surfing, scuba diving and sailing. Beadnell is popular with visitors who enjoy a traditional seaside holiday, and just a couple of miles along the coastline you will find Seahouses, where trips to the Farne Islands depart regularly, and visitors can delight in watching the puffins and seals in the natural habitat. The quintessential village of Bamburgh, nestled in the shadow of its dramatic castle, is a further 3 miles north. The historic market town of Alnwick, with its quaint cobbles and beautiful castle, is just a short drive inland. Good Tides is a superb choice for those seeking superior holiday accommodation in a beautiful coastal village setting, giving easy access to explore the 20 miles of Northumberland Heritage Coastline recognised as an Area of Outstanding Natural Beauty. There is a beach only 300 yards from Good Tides in Beadnell. With the shop, pub and restaurant 700 yards from Good Tides. Living room: With Freeview TV, DVD player and French doors leading to. Kitchen/dining room: With electric oven, electric hob, microwave, fridge, freezer, dishwasher and washing machine. LPG central heating, electricity, bed linen, towels and Wi-Fi included. Enclosed garden with patio and garden furniture. Private parking 2 cars. No smoking. Holidays at Good Tides run from Saturday to Saturday. For a better idea of where Good Tides is, you can see Good Tides on the map below. Good Tides is in Northumberland; should you be on the lookout for a special offer, you can find all the special offers in Northumberland. It's always worth checking to see what is on offer at the moment. Do you want to holiday near Good Tides (UK11205), you can see other cottages within 25 miles of Good Tides; have a look to find your perfect holiday location.